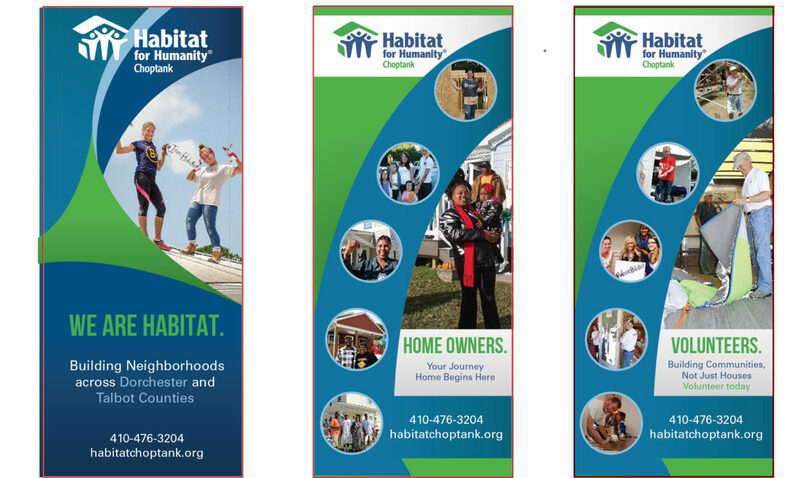 We were thrilled, when Habitat for Humanity Choptank asked us, to take on more of a proactive role in their marketing efforts. First, we started with a branding strategy to complement existing guidelines. 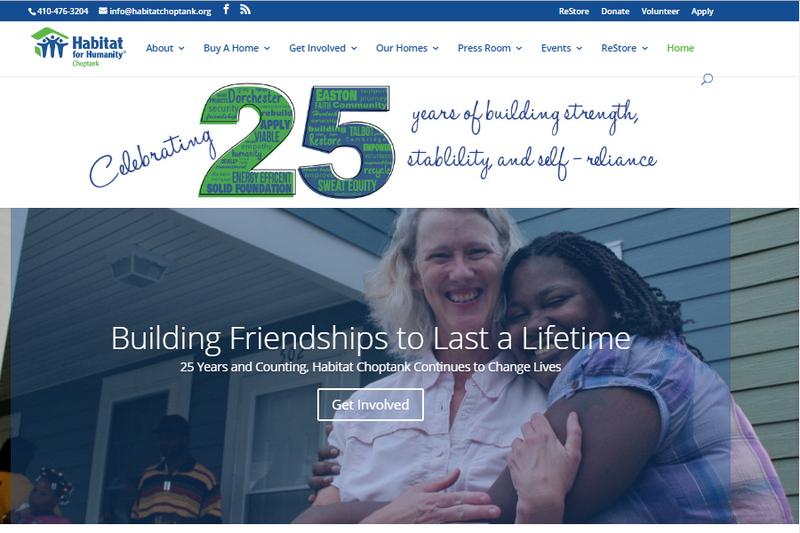 We then delivered a complete suite of communication tools for staff to use, including a redesigned website. 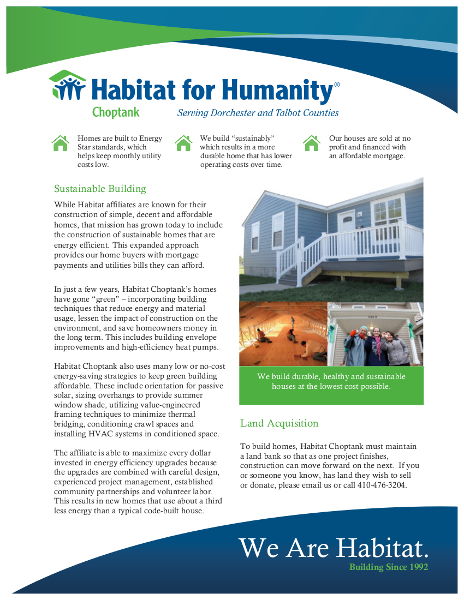 Through two different campaigns, we’ve helped debunk myths and celebrate Habitat Choptank’s impact. 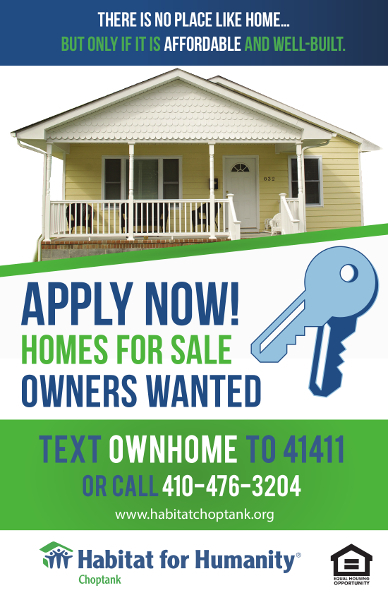 Perhaps the most rewarding task, was interviewing homeowners and volunteers about their experiences for a series of commercials and promotional video. 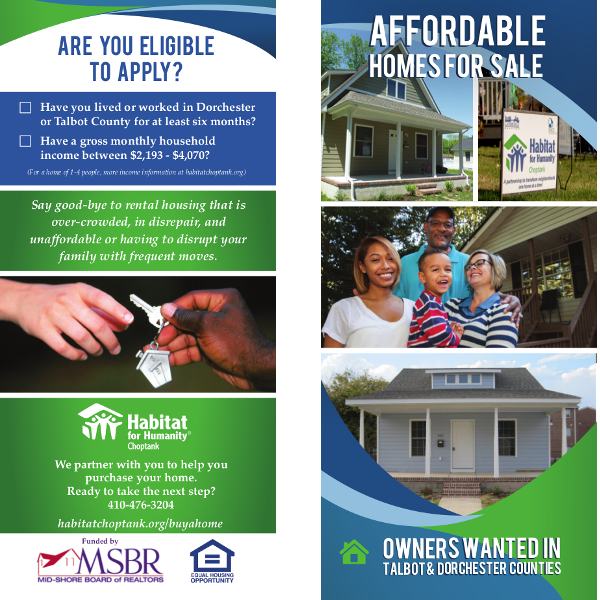 It is truly remarkable to hear first-hand and witness how Habitat Choptank has changed so many lives.